The challenges of maximizing indoor floor area as well as outdoor living space are inherent on tight wooded and steeply sloped sites. 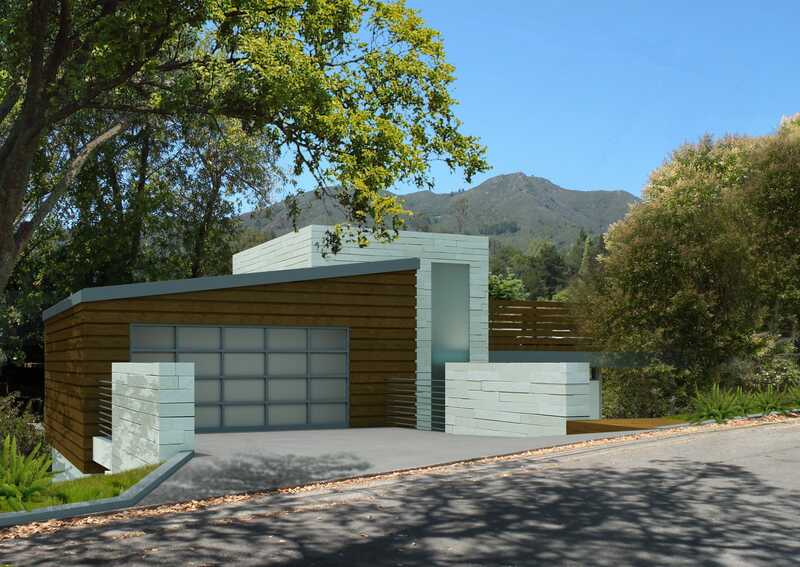 This design was consciously sited on the foundations of the existing residence to minimize grading and new site work. 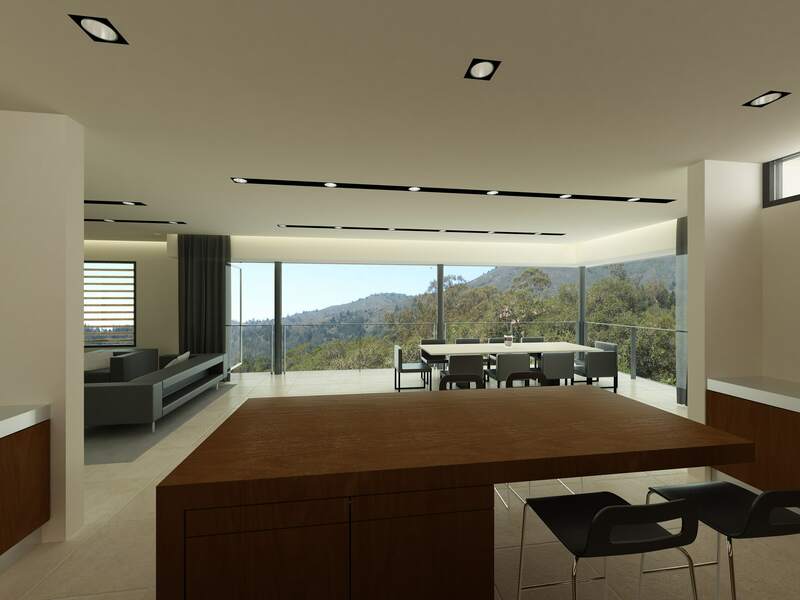 To take advantage of the sweeping views of the mountain and canyon beyond, large expanses of operable glass were used to open all the living spaces to the outdoors. 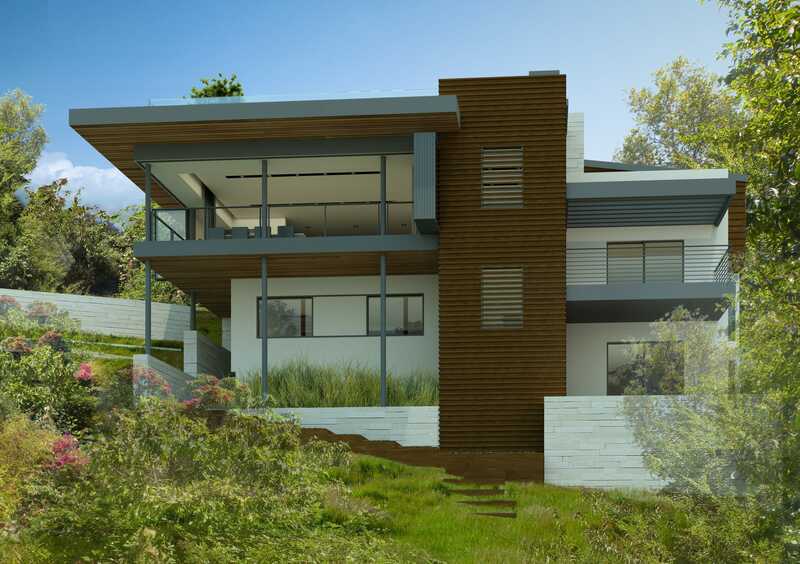 The highlight of the residence is the mountain view roof deck with outdoor kitchen and infinity edge pool for entertaining or private respite in the sun.